5 Complete Chainmaille Tutorials in one PDF download. A range of styles and difficulty levels. These “Made Easy” tutorials will help you learn to make these designs easily: Full Persian (Easy, classic design), Candy Cane Cord (Moderate, unique design), Dragonscale (Moderate-Advanced, classic but uncommon design), Viper Basket (Easy, uncommon design), Half Persian 4-1 (Moderate, classic design). 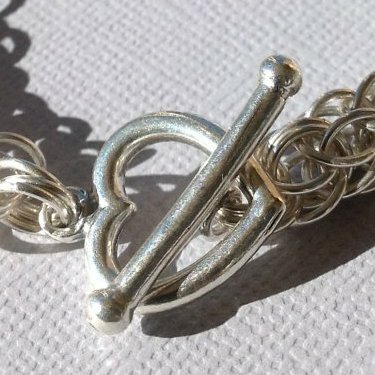 I love chainmaille, and I enjoy teaching others to make this fantastic jewelry style. Get 5 chainmaille jewelry tutorials in one PDF. 67 pages & 160 pictures. Wonderful tutorial, it is incredibly simple to follow along. This weave always looked difficult until I ordered the tutorial. David makes it so easy to follow–wonderful instructions! Great clear pictures and fantastic instructions. ‘Made Easy’ are the best words to describe all David’s tutorials. He puts a lot of time and thought into them. 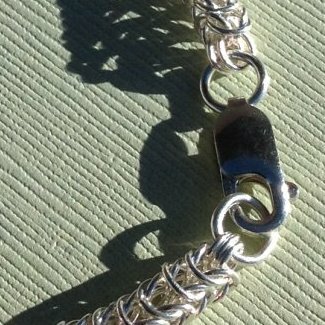 Each chainmaille design is demonstrated step-by-step so you can follow along easily. People like my tutorials because I don’t take anything for granted. Pictures are carefully selected and cropped for close-up details. Text is carefully written and edited to communicate each step clearly. 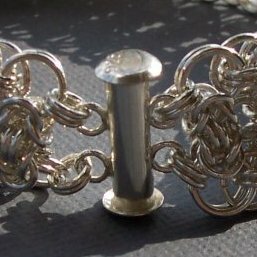 Tips come from my years of making this fantastic jewelry, giving you the benefit of all my experience making these chainmaille jewelry designs. Once you pay, you will get an on-screen link to download the PDF file. You will also get an email with the download link. Click (or right click) the link to download and save the file. If you have difficulty downloading the file, email me. These five chainmaille designs cover a range of expertise, from the popular and simple Full Persian, to the uncommon and stunning Dragonscale design. All of them are beautiful! NOT INCLUDED: The latest tutorial, “Viperscale Made Easy” is not included in this 5-tutorial download. See the tutorial here. If you buy this 5-design tutorial and still have questions about these chainmaille designs, you are very welcome to e-mail me for help. I want you to be successful as you learn new chainmaille jewelry techniques. This is a copyrighted PDF, and I retain all rights. I ask that you not copy, reproduce, distribute, or sell this PDF. On the other hand, please make lots and lots of jewelry from these designs and sell as much of it as you can!